The way a hot air balloon works is an amazing combination of science and nature. The science is in the parts that work with nature to give you the experience of flight. 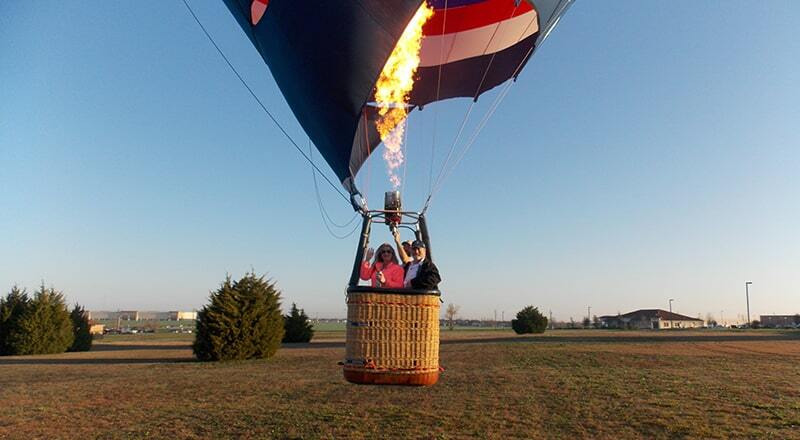 The three main parts of a hot air balloon are the basket (gondola), the burner, and the envelope. Below is a brief description of each element for a basic understanding of the parts of a hot air balloon. The basket is where the pilot and passengers stand during flight and where the propane gas tanks are stored. They come in a variety of sizes and shapes and have a side hole to use as a stepping aid when climbing in. Smaller baskets hold fewer people and are used with smaller envelopes for private or engagement flights for 2 people (plus the pilot), while larger baskets (sometimes with partitions) hold more passengers and require larger envelopes to achieve flight. The burner is attached to the basket, and uses propane gas tanks to propel heat into the envelope. Burner outputs vary depending on the size of the envelope and the amount of heat needed to achieve lift-off. The pilot is the only person authorized to operate the burner during flight. 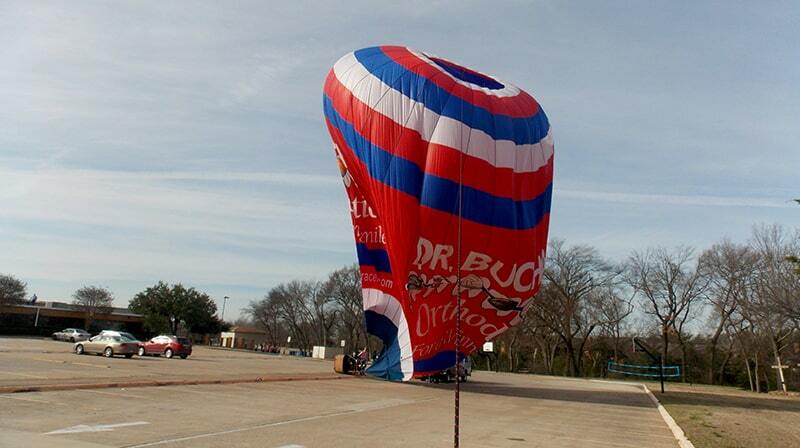 Large balloons may have multiple burners to achieve faster response for heating the balloon. The main purpose of the burners are to heat the balloon, and they also can provide entertainment at night with “balloon glows”, lighting the envelope so it glows in the dark. The envelope is the actual “balloon” and is usually made out of nylon panels or “gores”. The gores expand at the top (called the “crown”) and taper at the bottom (the “skirt”) as it gets closer to the basket. This shape helps keep the hot air in the balloon. The top of the envelope is made out of a heavier nylon with a silicone coating to protect the balloon from the high heat, molds, and fungi. The skirt, since it is the closest material to the burners, is usually made of Nomex, a flame resistant material that is also used by firefighters. Vents in the crown and gores are controlled by the pilot with chords, rope or cables, and allow the pilot to control the release of heat to land, maneuver, or deflate the balloon. The envelope attaches to the basket with cables, and is removable from the basket for transportation and storage.